There are a number of government policies which shed light on the relevance of encouraging full consumer representation and real Voice at the Table (VATT) participation. Please see below for some helpful information. 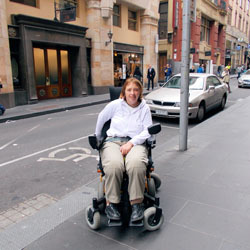 One in 5 Australians identify as a person with disability. Australians with disability are often denied the legal right, entitlement and the same life outcomes that other Australians expect. While some may access specialist disability services, all people with disability have a legal entitlement and a right to access mainstream opportunities, services, programs, public events and infrastructure. A number of national and international mechanisms seek to address this inequity. In Australia, the National Disability Strategy 2010-2020 (NDS) underpins the principles adopted in the CRPD. The principles ensure people with disability and their representatives are included in developing, designing and implementing policies, programs and services.